"The ones who have left talk as if they've escaped," Gordon Wittenmyer writes for the Sun-Times. 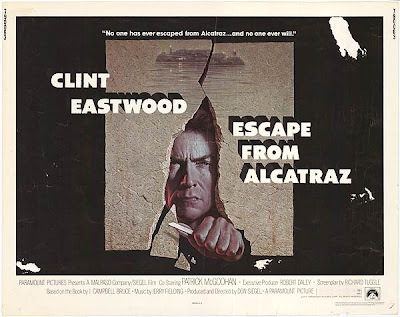 "As if the Cubs have become baseball's Alcatraz, where players do time until free agency or the inevitable trade while the lucky ones get reduced sentences by virtue of one-year flip contracts. "Just listen to Milwaukee Brewers pitcher Matt Garza's advice to Jeff Samardzija, who will be on the trading block this summer. "All I can tell him is keep pitching; pitch your way out of it," said Garza. Yes, but how do we escape? The Week In Review: The Cubs split four with the Diamondbacks, lost two of three to the Brewers, and treated a cake of Wrigley Field just like they're treating the real ballpark. They are tied with Arizona with the fewest wins of any major league team this season (8), and we'd have to say the tiebreaker goes to Arizona because at least they've got Brenly and Grace. The Week In Preview: The Cubs close out April with three in Cincinnati and open May with three at home against Cardinals. And there isn't even any cake left. 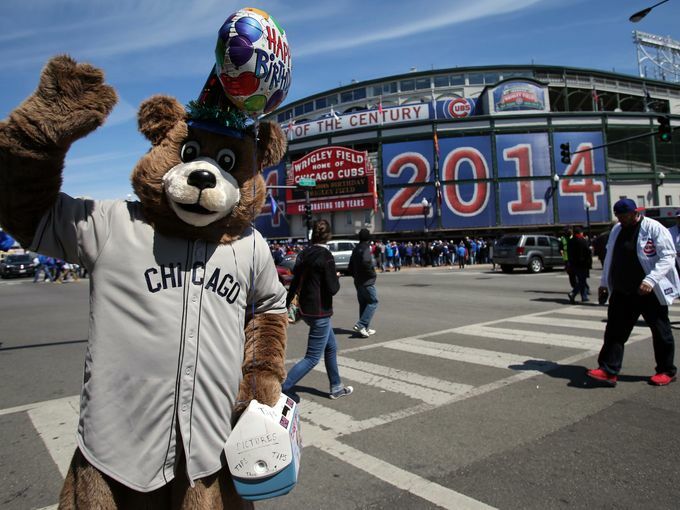 Wrigley Is 100 Celebration: All birthday cakes this year will be 100% tossed in the trash. "One thing that will not be mentioned during Wrigley Field's 100th birthday party Wednesday: the losing," USA Today reported last week. "I don't think I really need that kind of a reminder," Cubs president Theo Epstein said Tuesday before Chicago hosted Arizona. "That's not what I'm thinking about when I'm thinking of (Wednesday). When it comes to the 100th anniversary, for me, I think just how Wrigley is the epicenter of fans' connection to the Cubs." "It was an inedible cake that sat out all day. Of course it ended up in the garbage. That's what you do with it." Maybe in Boston, but not in Chicago - not when the cake is of Wrigley Field, and not when the cake is for Wrigley Field's 100th birthday. Think a little harder, smart guy. Prospects Are Suspects: Brett Jackson is hitting .121 at Iowa, which is only 43 points less than Javy Baez, who is hitting 63 points lower than Josh Vitters. That's Ricky: "There have been worse starts in the game of baseball." Alternate: And most of them by the Cubs. Laughable Headline Of The Week: Could Jason Hammel Become A Building Block For Cubs? No, he's pitching too well. Mad Merch: On Sunday, the Cubs are offering a '20s Throwback Yo-Yo to the first 5,000 kids through the turnstile - apparently the honor the decade that started 12 years after the franchise last won a World Series. The Junior Lake Show: "[Lake] endured an 0-for-3 night, striking out twice, misplaying a key fly ball in left field and making the wrong decision to throw home on another play. It's all part of the learning curve for the 24-year-old converted infielder." Classic Cubs development; in the minors he played 457 games at shortstop, 93 games at third, 57 games at third and even two games at first before being asked to play both left and center field at the major-league level. "A bleeder here, a bleeder there, that has been the story so far for me personally," said the man whose ERA is 10.42. Wishing Upon A Starlin: "[Castro] appears to be more focused defensively, even though he committed his fourth error on Sunday afternoon." So on a pace for 27 errors, which would be five more than last year. Shares of the Brewers are trading higher as Cubs fans adopt a team that could actually keep the Cardinals from winning the division again. Shark Tank: Dude's got a new favorite movie. Jumbotron Preview: 5,700 square-feet of this on movie night. Kubs Kalender: Wait 'til next year 2016 2017 2018 2019 2020. Over/Under: Days before and after July 4 that Jason Hammel is traded: +/- 5. Beachwood Sabermetrics: A complex algorithm performed by The Cub Factor staff using all historical data made available by Major League Baseball has determined that the next cake will be given to the Chicago Food Depository. #Cubs should trade Jason Hammel immediately now that he's at his highest value. They've already held on to Emilio Bonifacio too long.